Your life is busy enough, with kids to send to school everyday and a spouse to attend to, finding time for cleaning can be an impossible task. 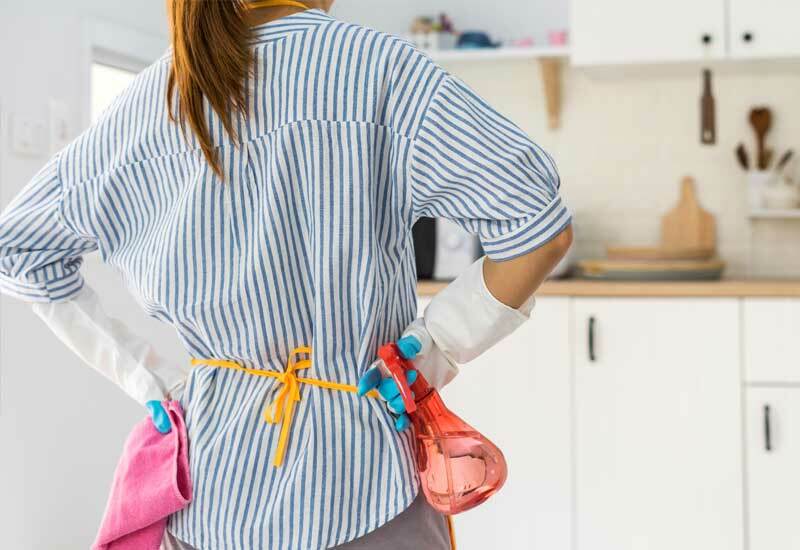 If you live in a big house this problem is amplified, you know just how challenging it can get to balance your time between looking after the kids, making meals and maintaining the cleanliness in your house. You may even feel that you don’t have any time to enjoy your home because all you do is spend most of your time trying to keep it clean. If you have ever debated hiring cleaning companies to supplement some of your workload, you probably have a list of reasons why you are opposed to it. One of the common reasons why homeowners decide against hiring professional home cleaners is the cost. Does it make practical sense to outsource the house cleaning? Should I just do it myself and save a few dollars? But truth be told, home cleaners are not nearly as expensive as you might thing and often once you’ve started using home cleaners you wonder why life was like before. The size of your home will dictate how much you need to pay for a professional cleaning service. Cleaning companies are only able to provide you with an accurate estimate of the cost if they know the type and size of your home. If you are not familiar with the exact square footage of your property, it is best to find out that information before the scheduled cleaning, so you can provide the information to the cleaning company, which will then come up with an estimate of the cost. In addition to the size of your residence, the number of rooms that require cleaning is another vital information that will help determine the cost. Do you live in a 1-500-square-foot property with two bathrooms and four bedrooms? Expect to be charged a higher fee for a domestic cleaning than someone who live in a 400 square-foot residence with only one bedroom and one bathroom. However, if you live in a bigger house, but only require cleaning for one or two rooms, you can still get a lower rate for that. A cleaning personnel may visit your house prior to the scheduled cleaning to inspect the clutter in the house, and determine the level of service needed to make your place organized and free from dirt. 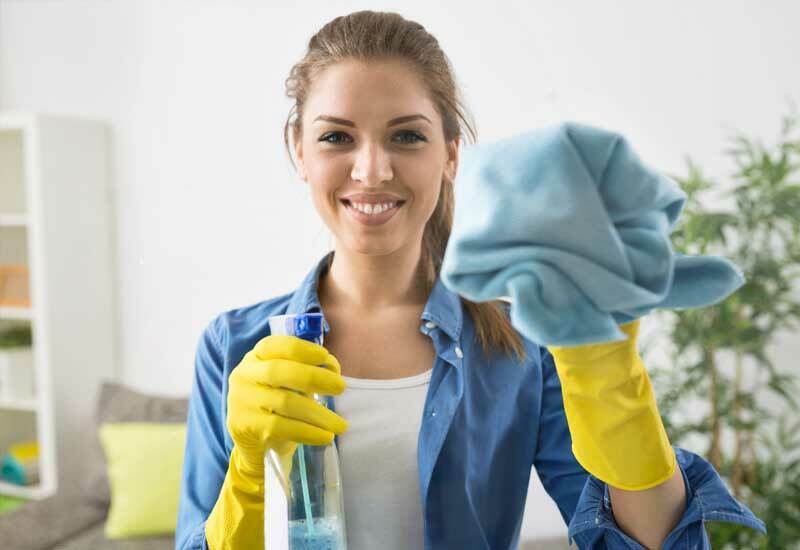 When booking a home cleaning service, you are presented with a variety of options regarding your desired schedule for the cleaning. Typically, you have the option to schedule a weekly, fortnightly, or monthly cleaning appointment. Another option is to book a one-off cleaning appointment, also referred to spring cleaning. The frequency with which you want your residence cleaned is a vital factor in determining the cost of the service. In many cases, you save a substantial amount for routine cleaning, as some companies are willing to charge less for repeat business. On the other hand, a one-off clean may cost more compared to what you will be paying for routine work. The cost for one-off clean will depend on the factors mentioned above, as well as the time of cleaning required. The Australian Capital Territory has a higher rate at $37.50 per hour. If the window you want cleaned is of standard size, and does not need detail cleaning, expect to pay as low as $30 per hour. But if you want cleaning technicians to work on multiple windows that are hard to reach, then you will likely be a charged a higher rate of up to $45 per hour. There are many factors affecting the cost of carpet cleaning. One of which is your requirement for the cleaning team. Do you need a basic dry clean or do you want them to steam clean the carpet? If you are not sure which one is suitable, ask the cleaner for advice. They will know what’s best by inspecting the degree of staining, and by asking you when the carpet was last cleaned. On average, carpet cleaning costs around $10 per room, although it can be higher if you have a larger room. For a two bedroom unit, you can expect to pay in the region of $75 to $95. Professional carpet cleaning for a 3 bedroom unit ranges from $88 to $105. The rates can go as high as $185 or more for larger properties. for this type of cleaning, the average cost is around $33 per hour. But if the place does not require a thorough cleaning, then the rate can be lower at $25 per hour. Other factors that can affect the average rate are size of the property, number of cleaners needed to do the work, and the time it takes to complete the cleaning. If the rental property is in a condition that requires extensive work, then you will certainly need to pay a bit more. On average, you can expect to pay $250 for an average sized two-bedroom property. 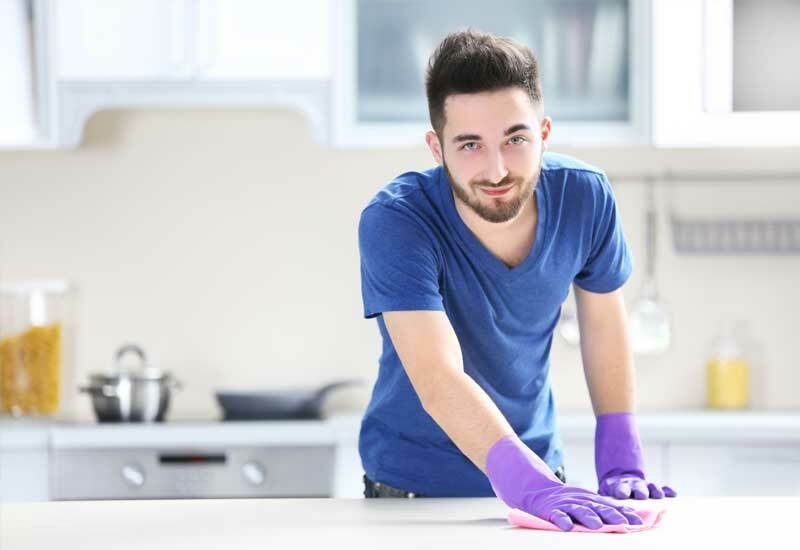 For that amount, the cleaners will do a standard end of lease cleaning that includes cleaning kitchen stove top and oven, as well as the toilet. Factors that determine the cost of roof cleaning include the type of roof you have, its shape and size, and the current condition of the roof. If the roof has algae or moss, it will take cleaners more time to complete the work, or if you have terracotta roofs that are harder to clean, then it will be more expensive. Rates can start at $38 per hour and can go as high as $80 per hour depending on the factors mentioned above, and where in the country you are located. What do Pristine Home charge? At Pristine Home, we set our prices based on the average rate of other cleaning companies in Sydney. That way, you will pay just the right amount and still receive top-notch cleaning service for your home or office. For most regular or once off cleans we charge $77 for 2 hours and then only $26 dollars per hour after that. Our services do vary depending on exactly what you need so the best place is to use our quote form and within 60 seconds you’ll get an accurate quote on how much it will cost. Simply choose the cleaning service you need through our website, and we will arrange for our team of highly-trained cleaners to visit your home as early as the next day.